It's that time of year where the spirit of getting is apparent in the life of a Disney character. They want their H2O and they want it now! Regardless of being on the naughty list or not, they'll get there liquid goodness. Swampy and Perry are back again on their quest to acquire water and it's your job to deliver it in a timley fashion, preferably wrapped with a bow! 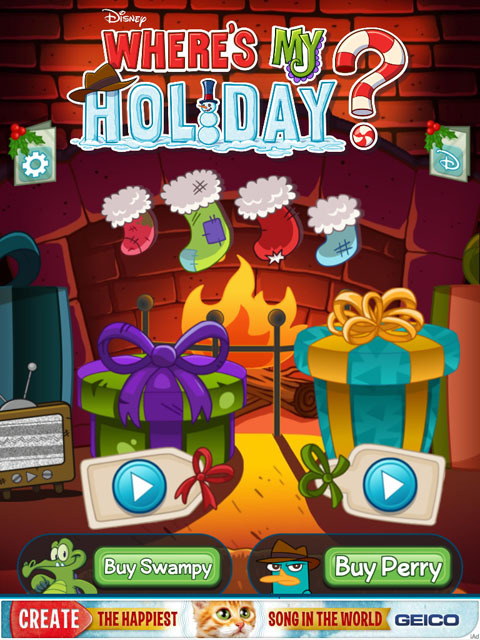 The Disney team has crafted up a fun free app titled Where's My Holiday! This is a free version of the game with limited levels, but it gives you an idea of how the game is played and it's quite fun. 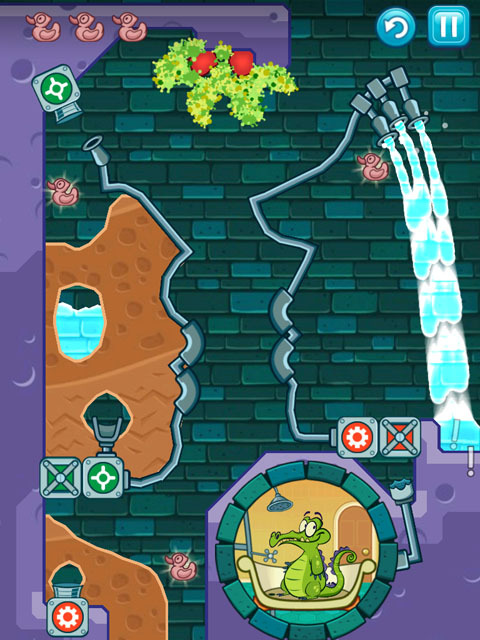 Both Swampy and Perry each have 6 unique levels to play through. Winter is coming and Christmas is right around the corner; Swampy needs his water for bathing and Perry needs to transport to his next area. H2O is the only way to do it, so you need to make that happen! You'll find that both of them are very impatient when waiting for there water to arrive. 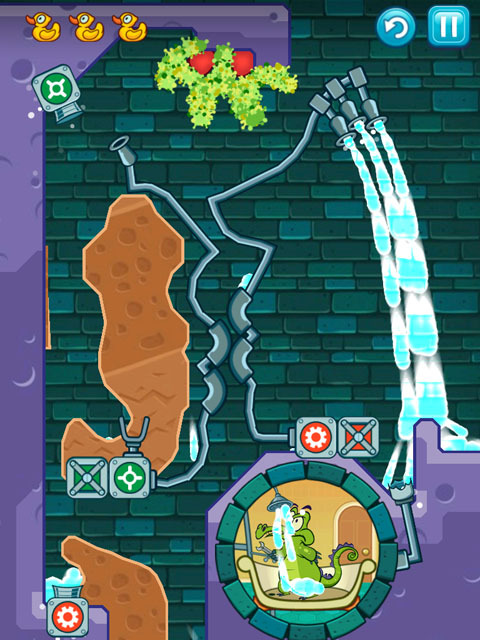 Each level is unique and faces you with a new challenge on how to get the water to your cartoony friend. 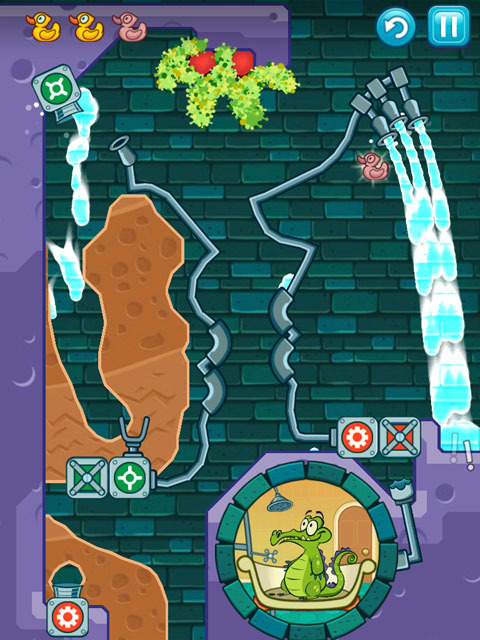 Your main objective is to funnel the water towards the main collection pipe that leads into Swampy's tub and/or Perry's chamber. Look around the entire level to find the best path to completion. Trial and error is ok because each level can be replayed as much as you like. When enough water is collected you'll complete that mission! If you get stuck on a level, skip it and come back to it. 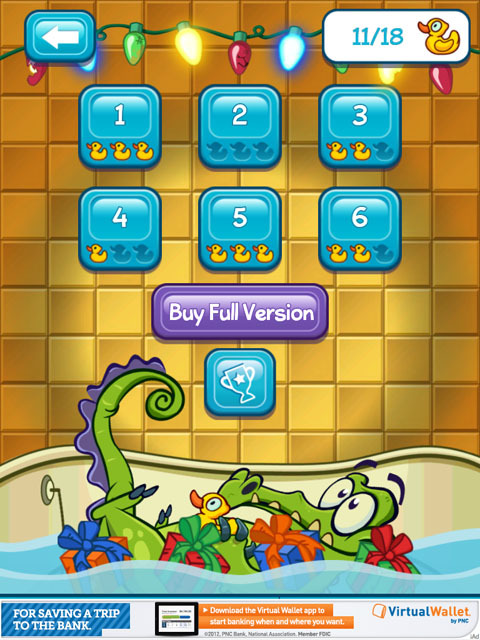 Each level has 3 bonus items to collect, Swampy levels have 3 rubber ducks and Perry levels 3 gnomes. Collect all 3 in each level for more points! 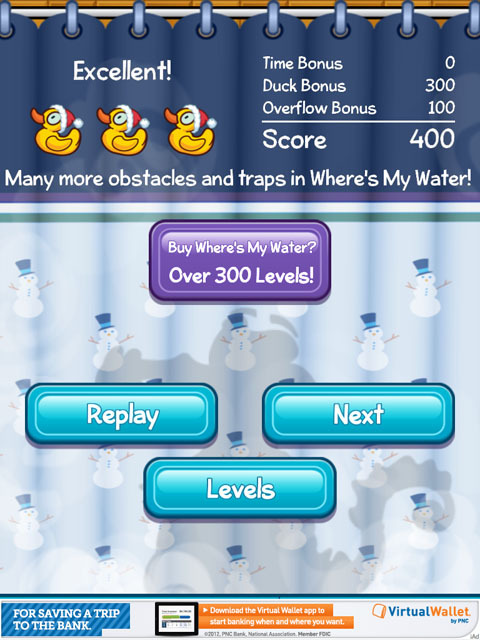 Scoring is calculated on 3 different game aspects: time, bonus items and water overflow. Also check this games predecessor Where's My Water?